Abuse of big data means your worst paranoia scenarios come true, including, among other things, the endless government surveillance, insurance agencies despotism and employers tyranny. Like it or not, the genie is out of the bottle — we’ve already entered the era of digital spying. Insurance agencies are buying your credit card records. They want to know if you take meals in fast food chains, which magazines you are subscribed to and what prescription drugs you purchase. Your shopping behavior is brain candy for analysts who need the data to forecast if you are a reliable client with sober financial habits. Questionable clients who like to treat themselves with French fries are expected to receive higher life insurance rates, or even a denial. So if you want to keep your ‘refrigerator habits’ private, think of paying in cash. Social accounts are another source of valuable personal information, which is voluntary published by people themselves. In this light, devoted fans of Facebook Health Digest win more points, while bachelors who follow Buffalo Wild Wings get into a losing category. That’s why configuring proper Facebook privacy settings is a very good idea. Banks readily join insurers in the rush for your data. Do you want a loan? Analytics will scan your spending behavior to see if you splurge on vacations or buy high-end brands. They would like to know you even better than your mom does. These imposed relationships can lead to real financial consequences: when banks think you are inclined to overspending, you get ready for higher interest rates. People from ‘unreliable’ groups may never receive a certain loan or service just because they will never see these products advertised. It’s sad, because denying loans and services to those who are not expected to receive them ‘by default’, banks extend the line between rich and poor. 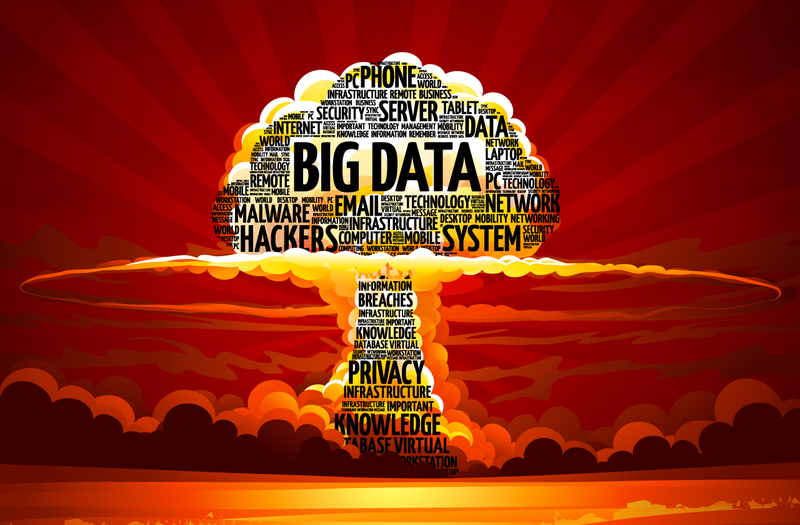 Big data in recruiting: dream or nightmare? You are being watched by your employer as well: there is a software that will let your boss know if you are going to quit even if you don’t know it yourself yet. A program can also forecast which employees are most likely to exceed their budgets. Besides, data analysis says that people who have three and more social accounts and use default browsers change jobs more often (there’s a lot of other similar observations). Though the whole concept sounds rather creepy, some companies already use big data to make hiring and promotion decisions. How about a software that forecasts your future decisions — isn’t that the first step to the scenario in the Minority Report? Such programs are advertised as free of human biases; but humans set them up. Humans, who are quite prejudiced and can make mistakes. There had already been a case with the same program when it rejected every good applicant for a job because of the wrong instruction. The problem is, that we still lack ethical and practical experience in using such solutions. During the approbation period, when companies adopt new technologies, both employers and employees must keep that in mind. Marketing has not been using data mining without failures as well. Here are a few famous muffs that made the news during the last couple of years. OfficeMax’ huge blunder happened when it sent discount coupons to a client in an envelope, addressed to “Mike Seay, Daughter Killed in Car Crash.” A year earlier, this client’s 17-year-old daughter and her boyfriend had died in a car crash accident. It’s still unclear what for the company kept this sensitive piece of personal information in the client’s profile. The infamous Target campaign set up the marketing vs. privacy discussions, when the retailer revealed that a teen was pregnant before the girl told anyone in her family. The company accidently notified a future granddad by sending discount coupons for cribs and baby clothes to his daughter. After that case Target got sneakier and decided to mix different coupons to disguise their ‘all-seeing eye’. “We found out that as long as a pregnant woman thinks she hasn’t been spied on, she’ll use the coupons. She just assumes that everyone else on her block got the same mailer for diapers and cribs. As long as we don’t spook her, it works,” — they said to Forbes. Is a ‘soft-core’ spying better than the obvious one? It saves your nerves but in fact it’s almost impossible to hide something from precise data-mining. Let’s remind you of a Janet Vertesi and her boyfriend who tried to keep their pregnancy offline. The couple used Tor when browsing for baby products; they also asked friends and family keep the news off Facebook and other social media platforms and paid in cash for everything they could. At the end Vertesi came to the conclusion that if you wanted to hide your pregnancy from big data, ‘you’ve got to operate like a drug dealer‘. Creepy indeed! Safeguarding customer data… Are you joking? All these greedy data collectors are not that much secure. When hackers break into their system, your data await them on a silver platter. Sometimes the incidents are obviously stupid. The next case could be funny if it wouldn’t so sad. In 2014 provider of financial services Money Shop lost two servers because it neglected its own security rules. The Money Shop did not delete records about old customers, did not provide proper encryption and stored servers in unlocked rooms — the world and his wife, come and take! The company has been recently fined for about $278,500 for enabling the potential of fraud and financial loss to clients. Sadly, but nobody is safe and sound: neither banks, nor hospitals, nor huge ports. Criminals have already hacked such giant organizations, as the Home Depot, Target, banks JP Morgan, Barclays, and many others.